Emerald Professional Protection Products Gloves & Boardwalk brand gloves. This category has our powder free & pre powdered 4-MIL & 5-MIL Vinyl Gloves, medical exam gloves, 4-MIL, 5-Mil & 6-MIL Nitrile Gloves, Black Nitrile, Latex Gloves, Plastic Gloves, PE Gloves, Poly Gloves Food Gloves, Dish Gloves, Flock lined Gloves, High Risk 15-MIL Blue Latex Gloves. For washing dishes, general cleaning and mild chemical handling. Chemical resistant to mild detergents, acids, solvents, alkalies and germicides. 12-in. length with embossed nonslip grip. Medium weight dish gloves. 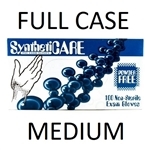 Medical Exam Disposable Powder Free Vinyl Gloves 10 x 100ct LARGE. 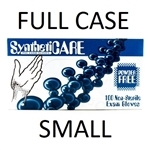 Medical Exam Disposable Powder Free Vinyl Gloves 10 x 100ct EXTRA LARGE. Sparkle Cleaning Supplies In-House Brand. Sparkle Cleaning Supplies In-House Brand Items, are typically Good Quality Economical Alternatives to Name Brand items. Sparkle Cleaning Supplies In-House Brands fluctuate from time to time, pending on Market Conditions, Global trading, Supply Availability, etc, etc. Picture is representational and may or may not look like the actual product delivered. These gloves are great for ALL general purpose tasks at hair salons, food service, diaper changing, and general cleaning services, commercial institutions, mechanics, Adult Daycare & Child Care Centers, etc., etc.. Warning: These are Natural Latex Rubber Gloves, so if you are allergic to Latex, then do not buy these latex gloves. These general purpose powder-free 4 mil nitrile gloves are a cost-effective solution for those seeking the protection and flexibility of nitrile. This latex-free textured glove guards against hand fatigue and provides a chemical barrier. It is the perfect nitrile glove for all general purpose use. These gloves are great for automotive mechanics, hair salons, janitors, custodians, real estate management, food service, diaper changing, general cleaning services, adult daycare & child care centers. These are not for medical use. These gloves are great for automotive mechanics, doctors, hair salons, janitors, nurses, custodians, real estate management, food service, diaper changing, general cleaning services, adult daycare & child care centers. These are medical exam grade gloves so can also be used for examinations by Dr's or Nurses. These general purpose powder-free 5 mil nitrile gloves are very strong gloves & are a cost-effective solution for those seeking the protection and flexibility of nitrile. This latex-free textured glove guards against hand fatigue and provides a chemical barrier. 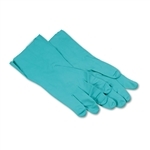 It is the perfect nitrile glove for all general purpose or physical examination use. Textured for an incredible grip, NitroMax features a beaded cuff for easy donning. These heavy duty 6 Mil black nitrile gloves are perfect for tough jobs. Their sleek black color make them the preferred nitrile glove for everything from automotive to tattoo glove use. Non-latex formula features powder-free finish and exam grade level protection. 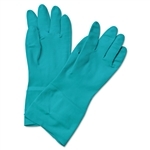 It is the perfect nitrile glove for all general purpose or medical physical examination use. Textured for an incredible grip, Emerald Black 6X Nitrile Gloves feature a beaded cuff for easy donning. These gloves are great for automotive mechanics, doctor's, hair salons, janitors, nurses, custodians, real estate management, food service, diaper changing, general cleaning services, adult daycare & child care centers. These are medical exam grade gloves so can also be used for examinations by Dr's or Nurses, or tattoo shop gloves.